1. 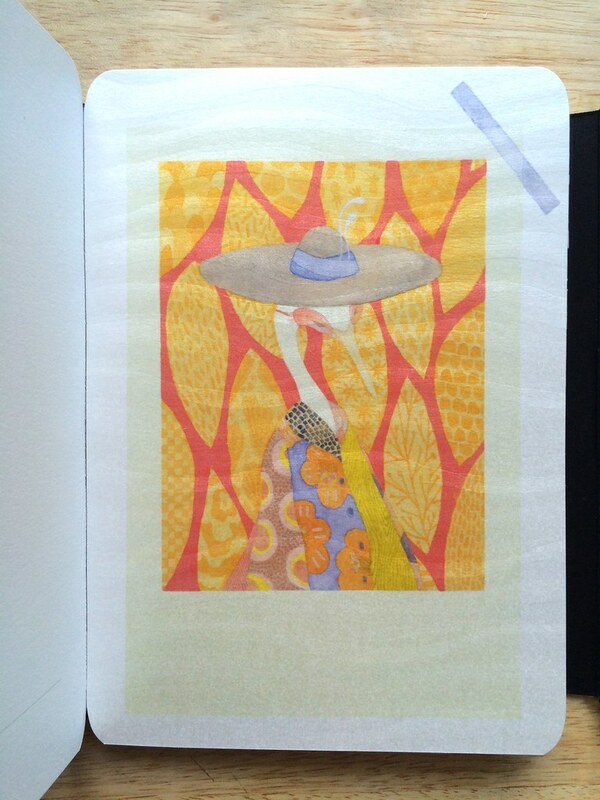 Five (5) sample illustrations from your portfolio. • Individual images should be at least 1000px on one side and be not more than 72 dpi. • Compile all 5 images in 1 PDF. File should NOT exceed 7mb. • PDF name should follow the format: APP2017-YourName-PORTFOLIO. 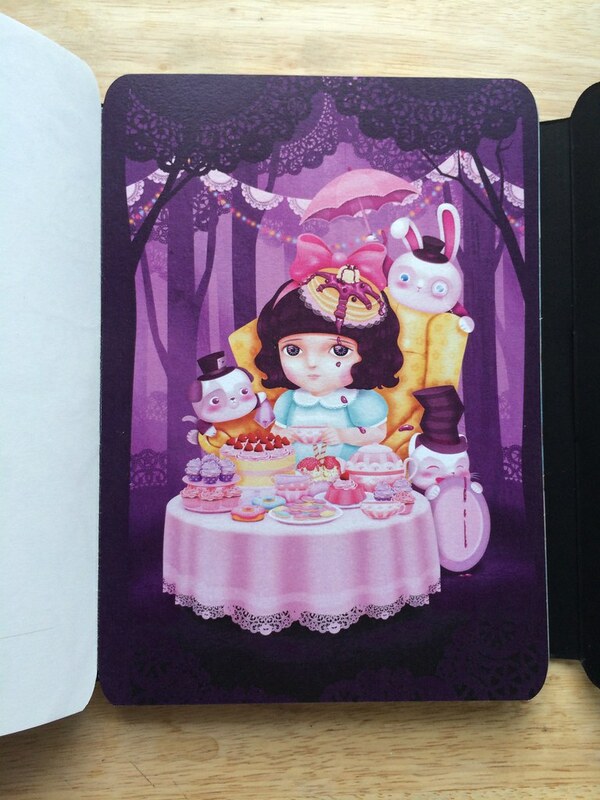 • Individual images should be 9”(h) x 14”(w), and should not be more than 72dpi. • Entries do not have to be based on consecutive spreads/parts of the text. 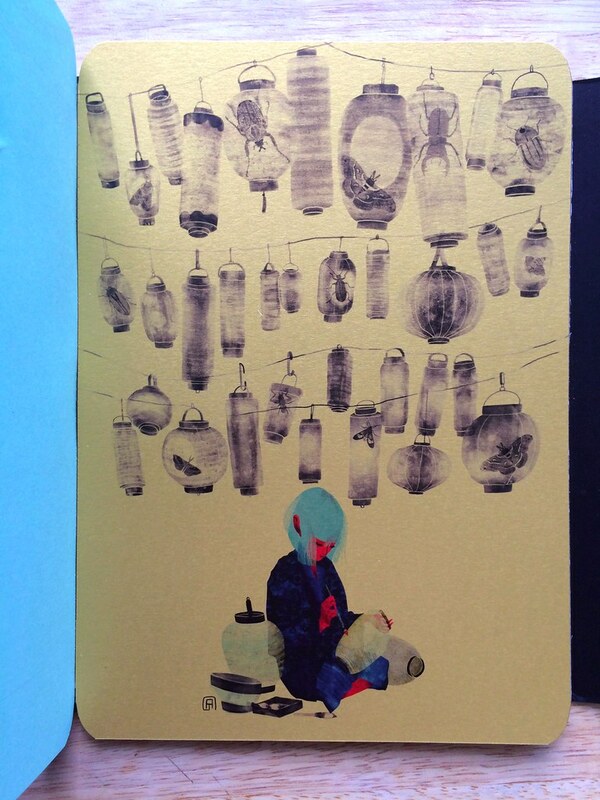 You are not required to layout/include the text in your illustrations. • Compile ALL 3 images in ONE PDF. Total file size of the PDF should NOT exceed 5mb. • PDF name should follow the format: APP2017-YourName. All applicants will be notified of the results through email on the first week of April. For questions and clarifications, comment below or email us at hello@ang-ink.org. 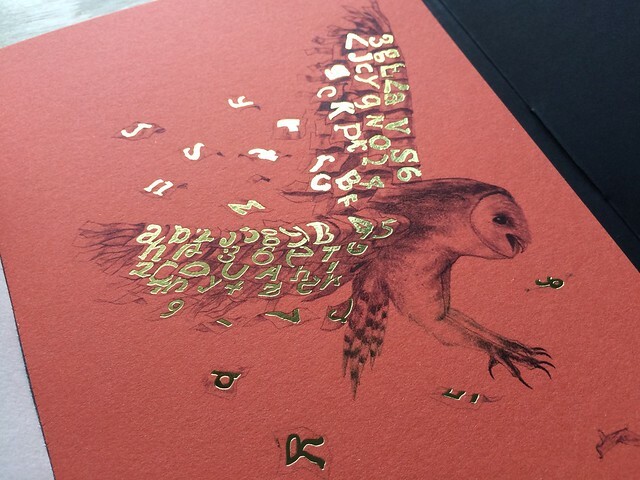 Our collaboration with Fedrigoni Asia arrived a couple of weeks ago. 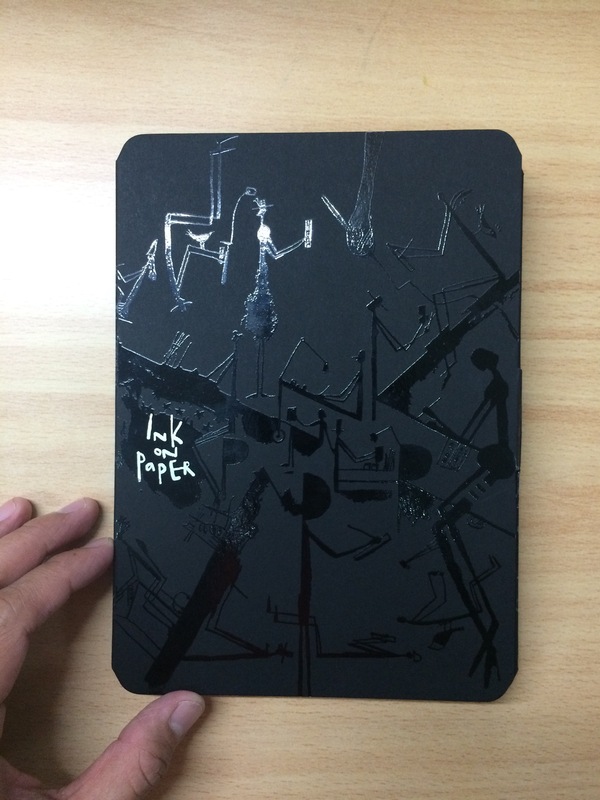 It’s an artbook / catalogue featuring the various special papers Fedrigoni offers. 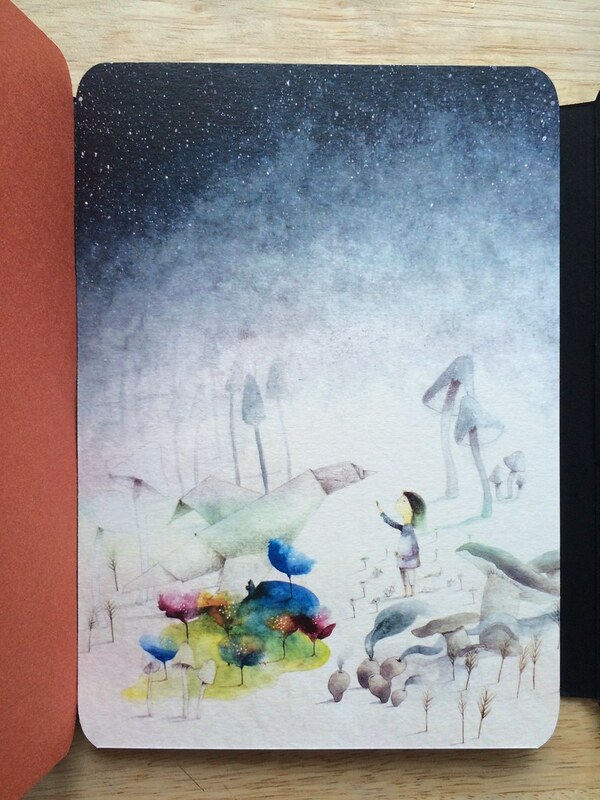 All artworks contain or feature different paper elements. 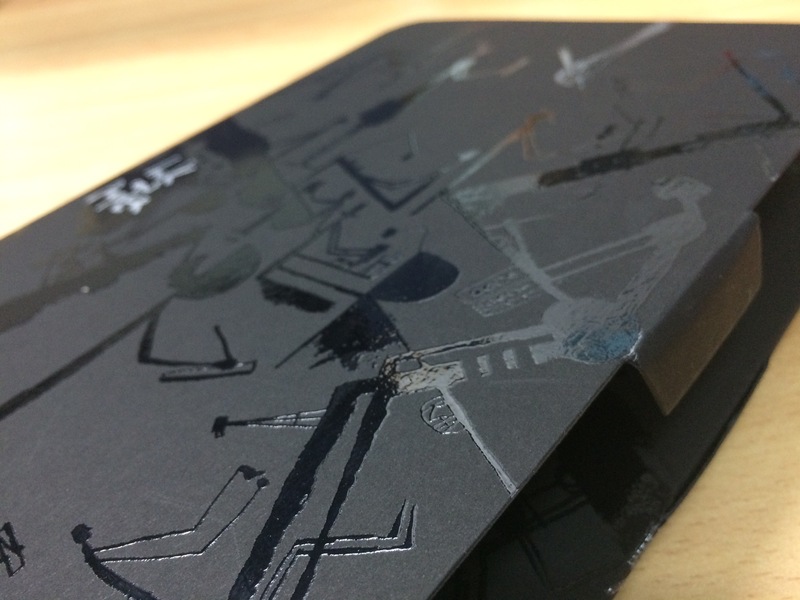 This collaboration was made possible through our friends from Fedrigoni Asia. You can visit their facebook page here. 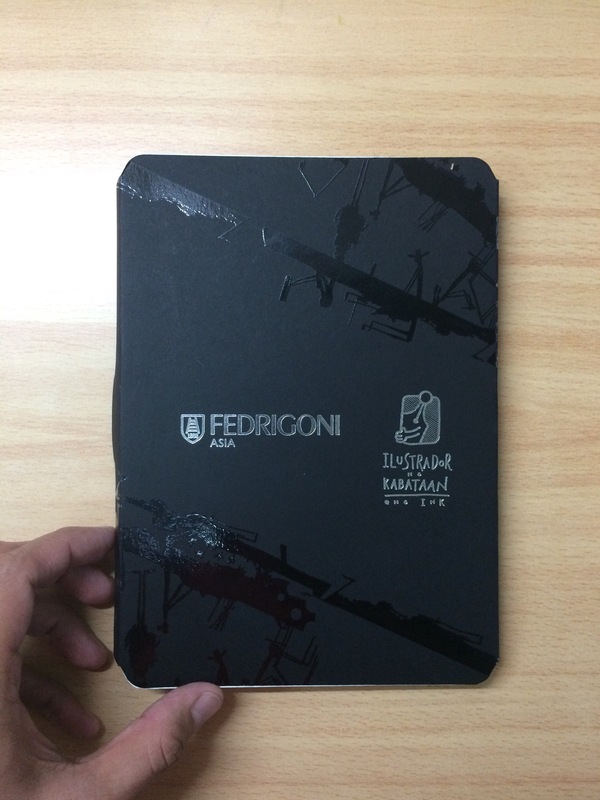 Fedrigoni papers are distributed in the Philippines by Prestige Paper Products. 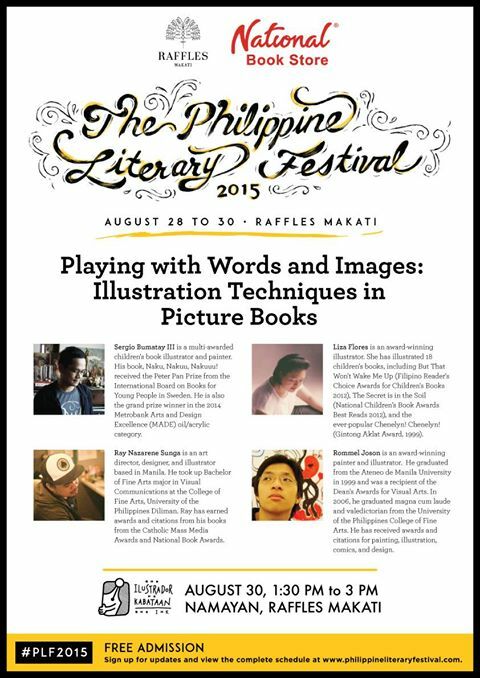 My friends and I gave a talk at the Philippine Literary Festival held at Raffles Makati last August 30, 2015. 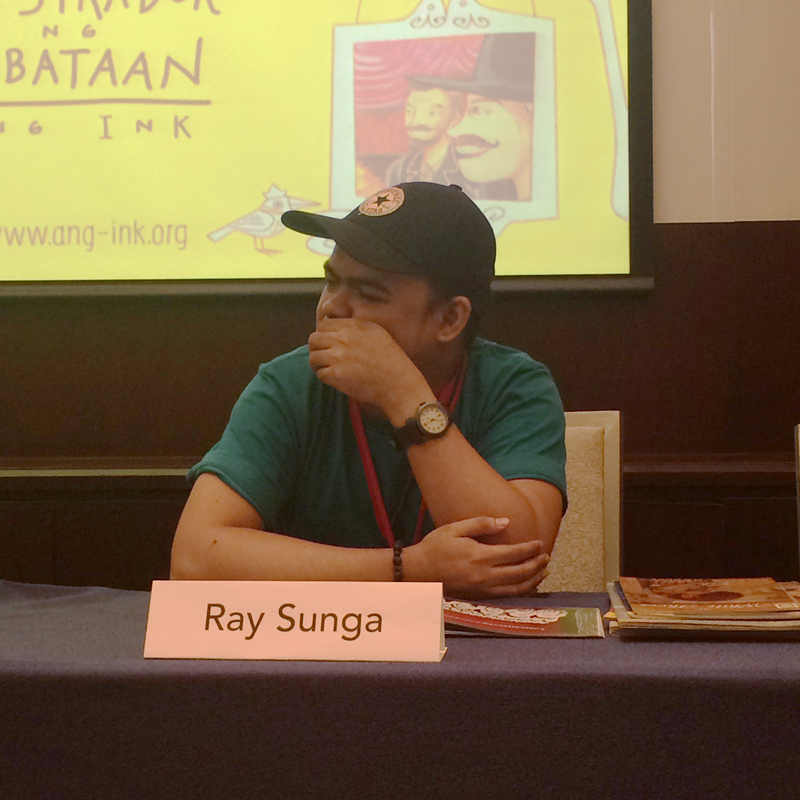 With me in the panel were Liza Flores, Ray Sunga, and Sergio Bumatay III. 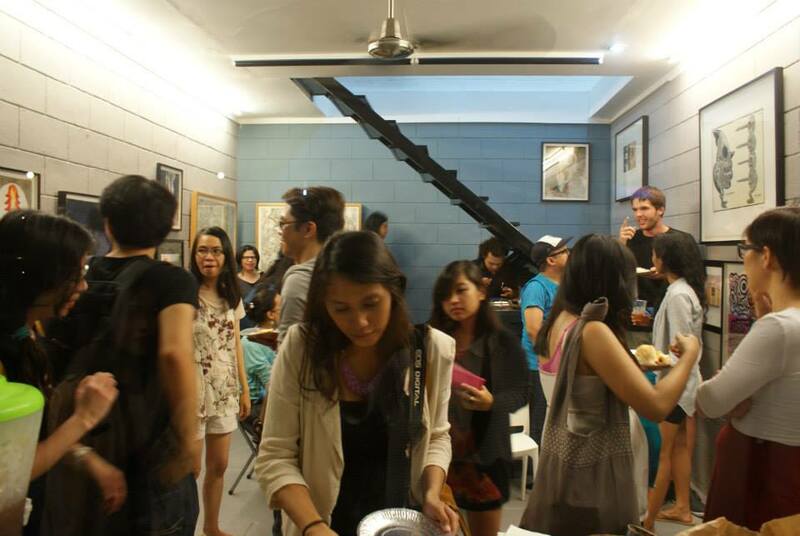 We were a bit surprised by the turnout; we actually expected maybe ten attendees tops. Liza Flores gave an introduction about our organization Ang Ilustrador ng Kabataan and talked about her process for her recent book “My Big Sister Can See Dragons” written by Rocky Sanchez Tirona and published by Canvas. 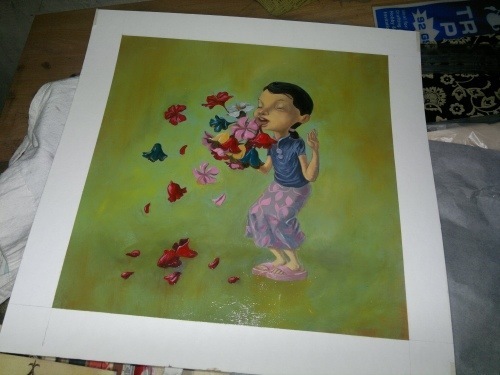 The book’s development underwent the usual process that a children’s book goes through in the Philippines, wherein a publisher commissions an illustrator to provide images for an existing story. 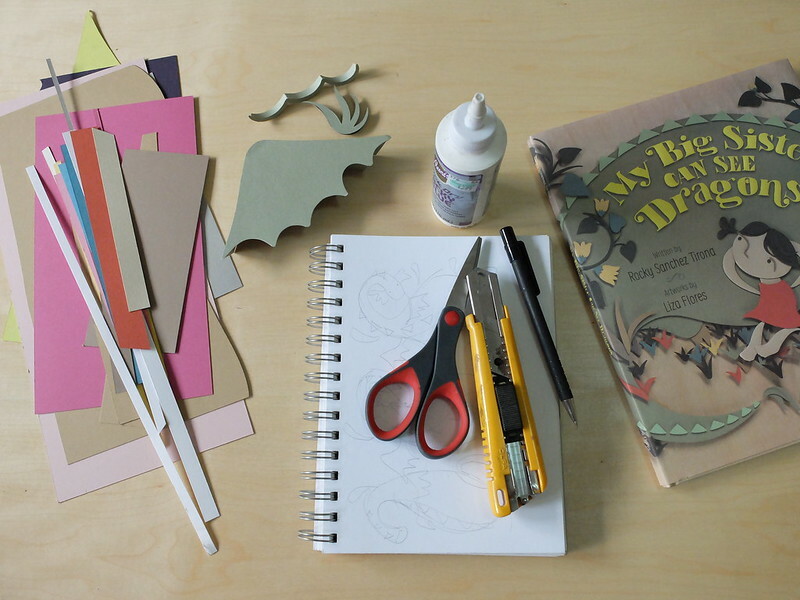 Liza’s illustrations for the book were all large scale papercuts mounted on wood. 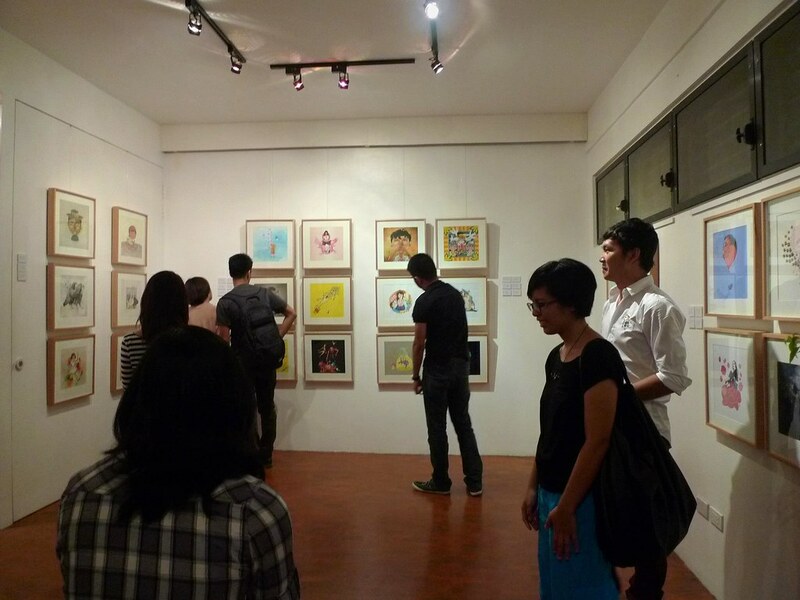 During the book’s launch, the illustrations were exhibited at the University of the Philippines Vargas Museum. Sergio Bumatay talked about out his process for his book “May Darating na Trak Bukas” (literally translated as “a truck will arrive tomorrow”) written by National Artist for Literature Virgilio Almario and published by Adarna House. 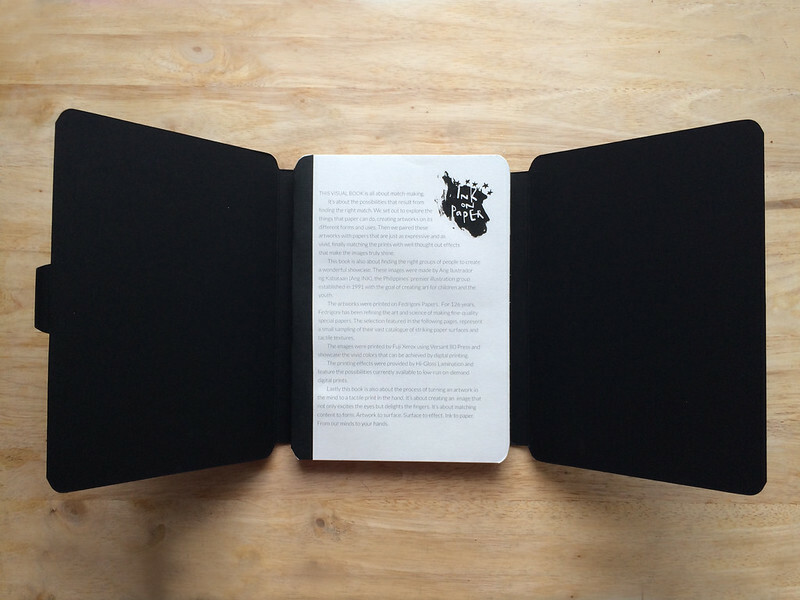 Serj’s experience on the book was a bit different since it didn’t originate from a previously written text. Instead, Serj was asked to develop several studies that can serve as inspiration for a new story. 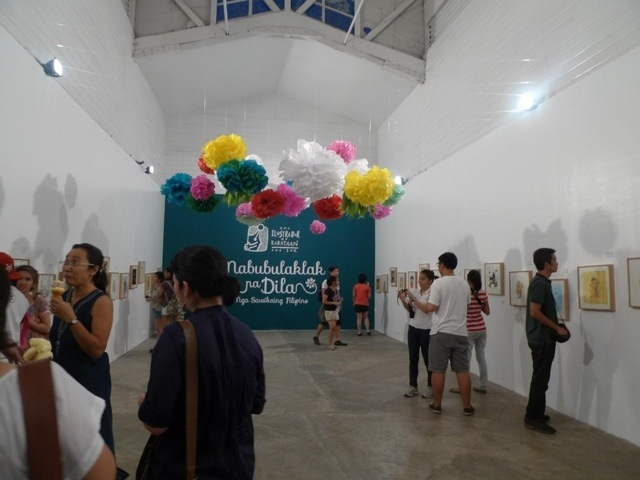 From the studies, Adarna House chose one image for Virgilio Almario to base his text on. 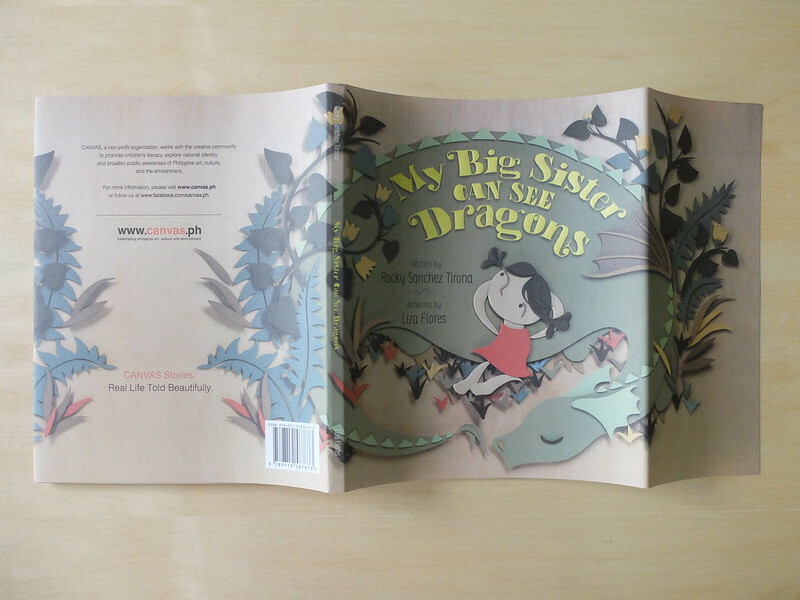 Ray Sunga narrated his personal experiences in being a children’s book illustrator, as well as his process, and his inspirations. 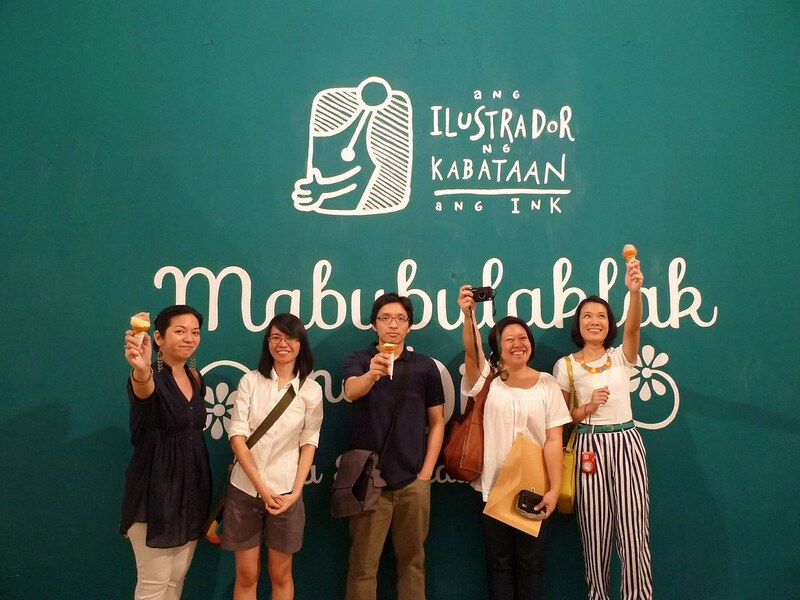 He gave insights into what we as illustrators experience in the Philippines (notably how you can’t live on illustrating children’s books alone). 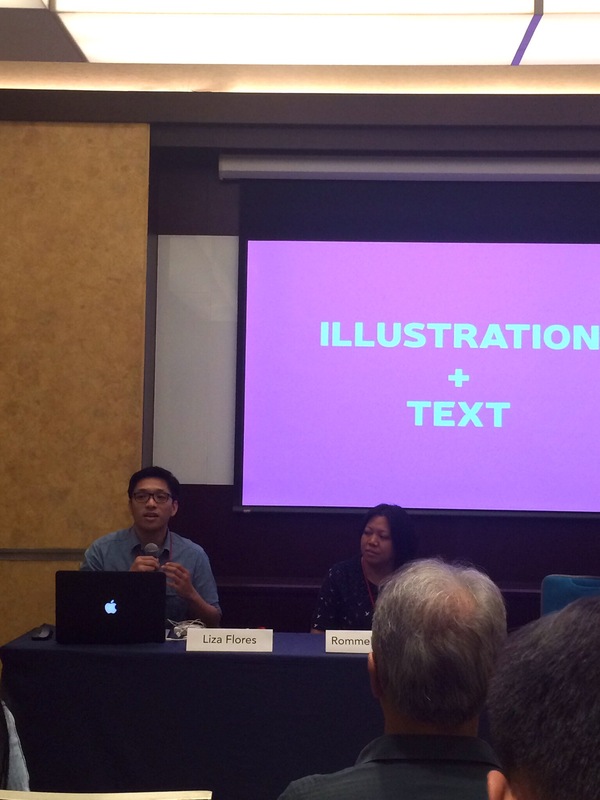 I talked about my research on word and picture interactions in picture books as well as my learnings from a writers and illustrators workshop I attended in Bintan, Indonesia (more about this in a coming blog post). 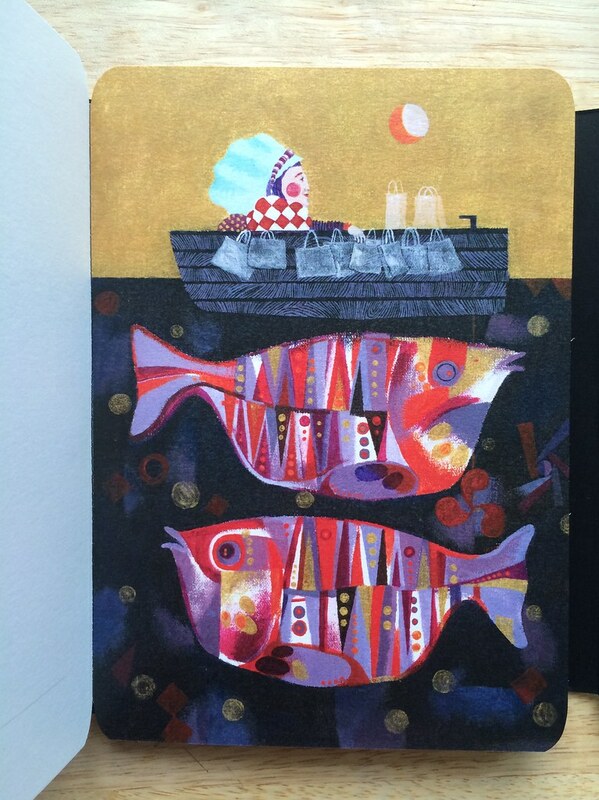 The point of my presentation was underscore our role as co-storytellers in picture books, a fact that many in the local industry may have glossed over because of the preeminence of the purely written text as primary sources of stories. 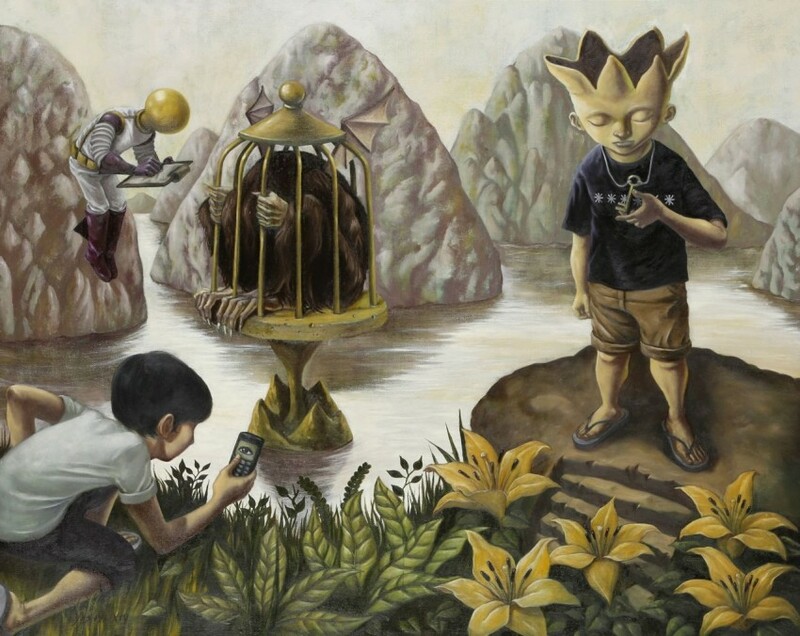 The idea of teaching visual storytelling and visual literacy in general seems to be in its nascent stages in the Philippines. Personally, I’ve heard anecdotal evidence that parents shy away from stories that are purely pictorial or at least with very few words. I don’t have the facts as to how visual literacy is being taught in Philippine schools nowadays, but I hope illustrators will have a greater role in shaping the conversation in the future. 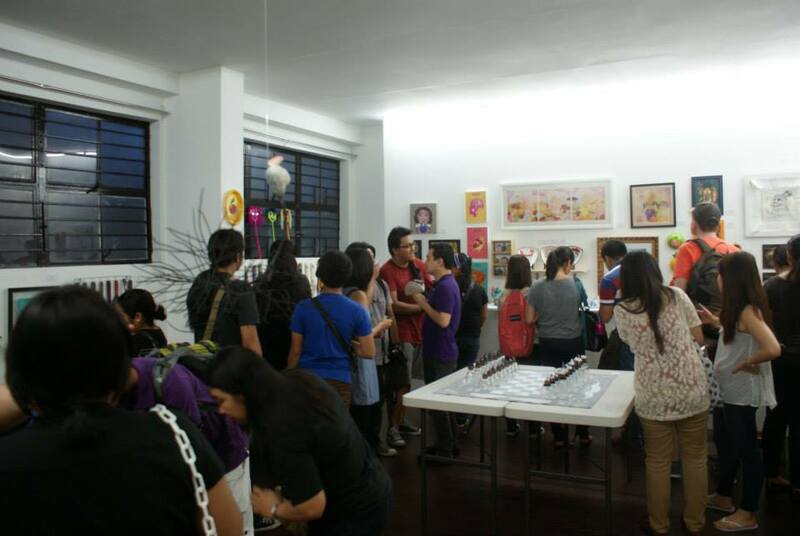 Ang INK just opened it’s latest exhibit at Post (formerly Pablo Gallery) in Cubao X. 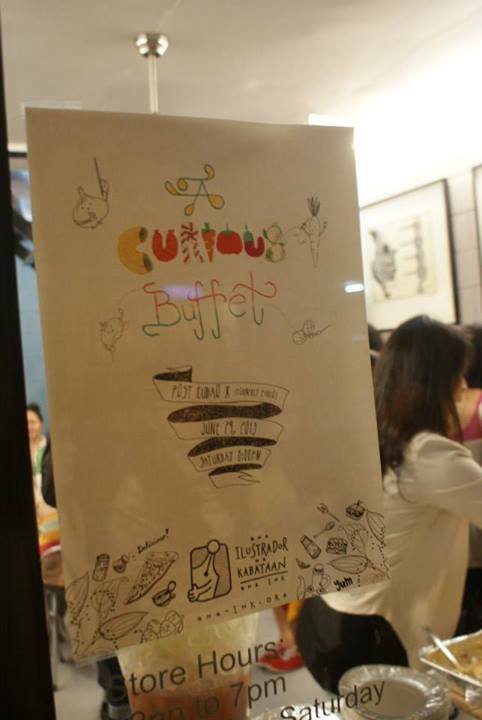 The exhibit will run until July 20, 2013. 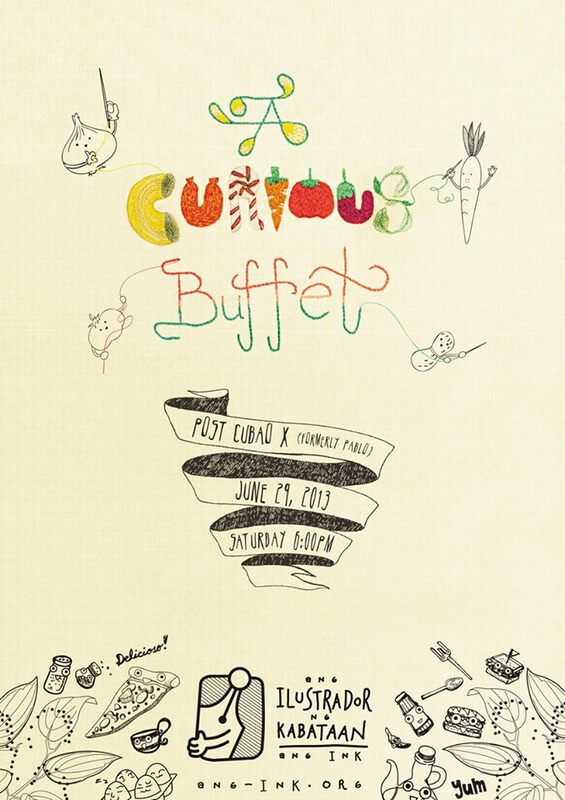 A Curious Buffet is a celebration of everyday objects, using common kitchen items and utensils to create different art pieces. 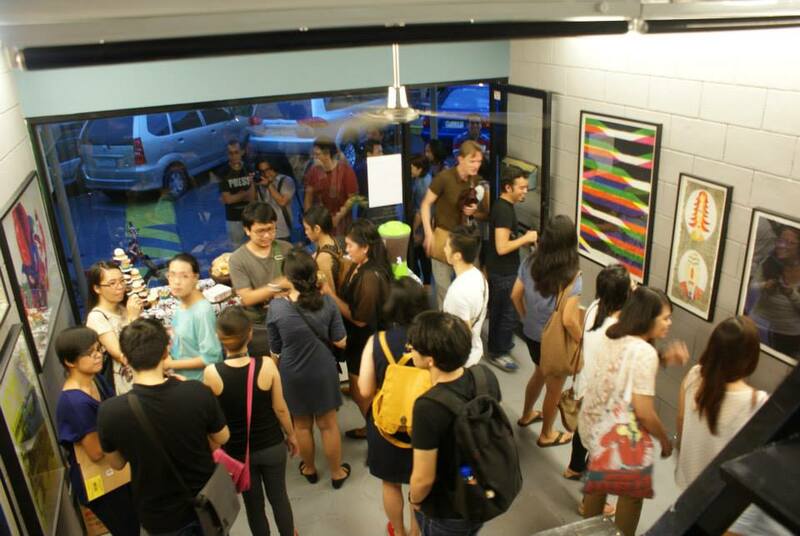 The opening night was packed! 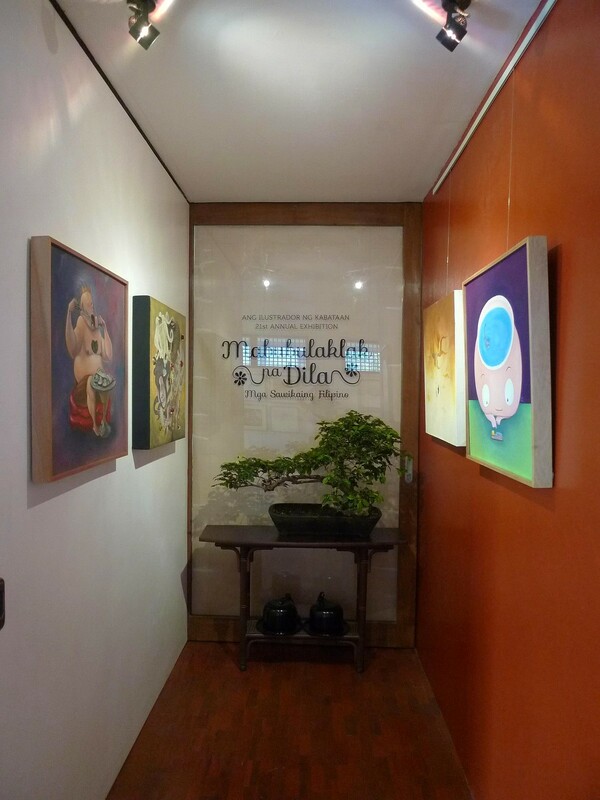 The gallery owner had to regulate the flow of people to the second floor because it had gotten to a point where the foot traffic was teetering close to capacity. Interestingly though, the exhibit almost didn’t push through. 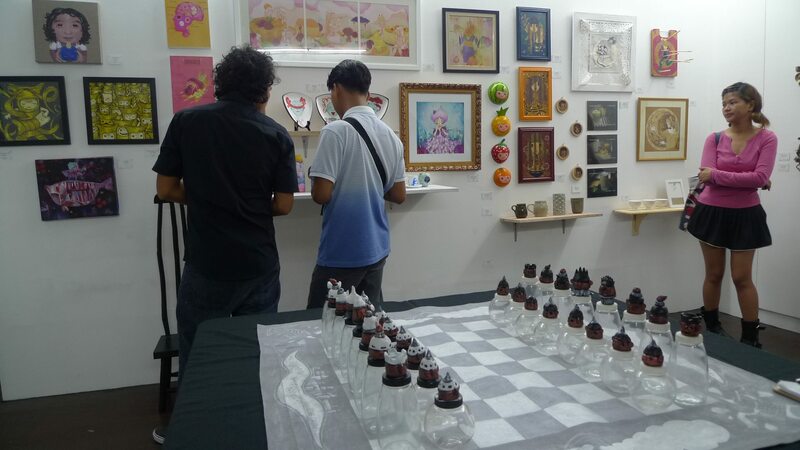 We had two scheduling changes months apart, the first one happened because the pieces wouldn’t be ready in time (we had to substitute a different exhibit on that one!) 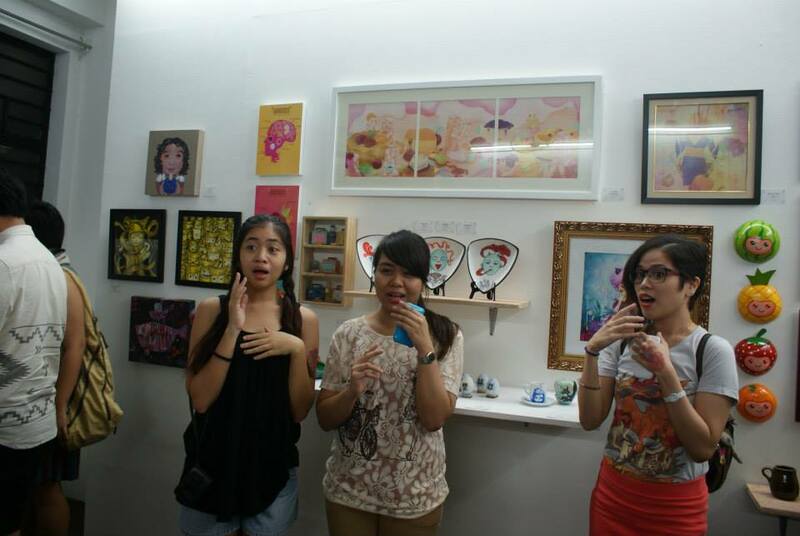 and the second change happened because the gallery we relocated to flaked out on us. The Post was our nth gallery option and quite frankly a godsend. I don’t think the opening would have been this successful if it were held anywhere else. 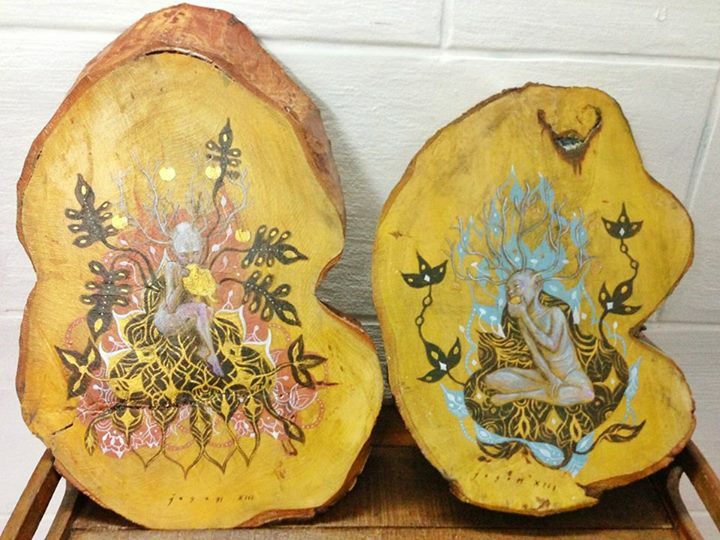 Here are my pieces for the exhibit, painted on old school chopping boards bought in a rural store in Laguna. It’s been a busy last quarter for INK. 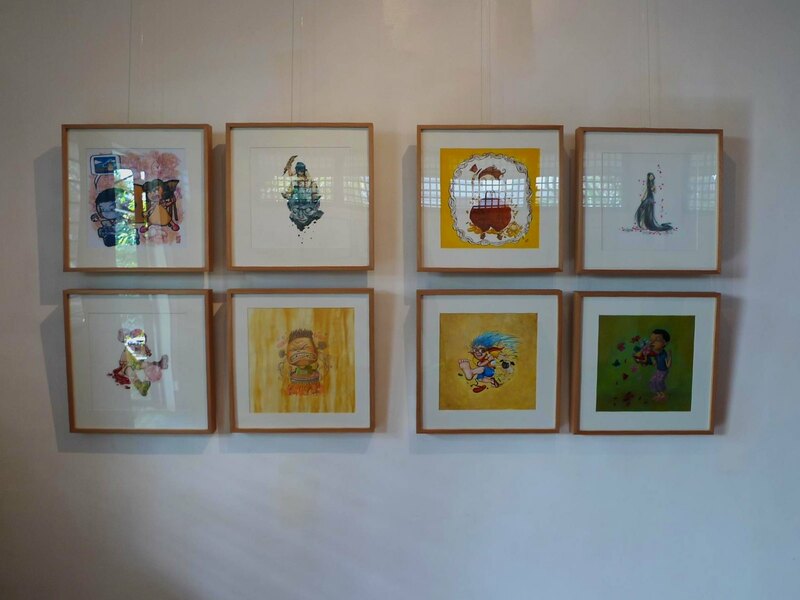 Our exhibit on illustrated Filipino idioms (sawikain) was featured on the news and a considerable number of artworks were sold during the two-week run at the Canvas Gallery in Capitol Hills, including my two artworks! 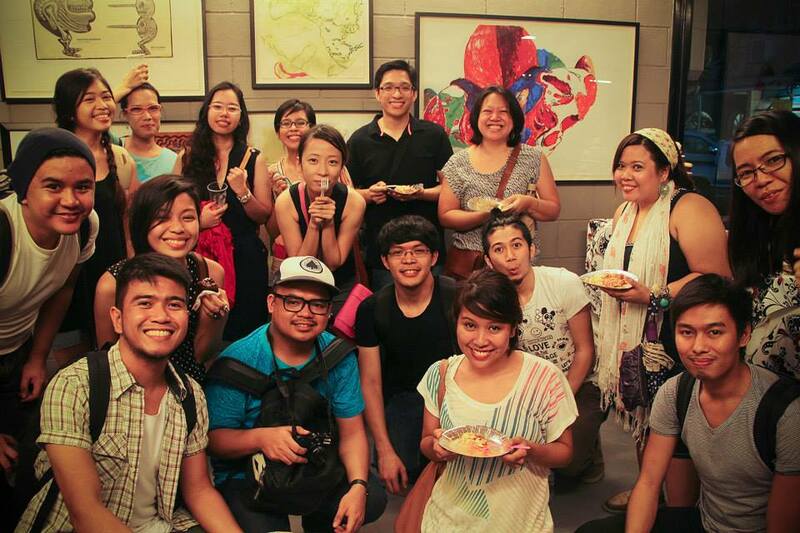 After that run, we moved the exhibit to the UP College of Fine Arts where we served free ice cream to everyone (all the catering money went into the first exhibit :P). 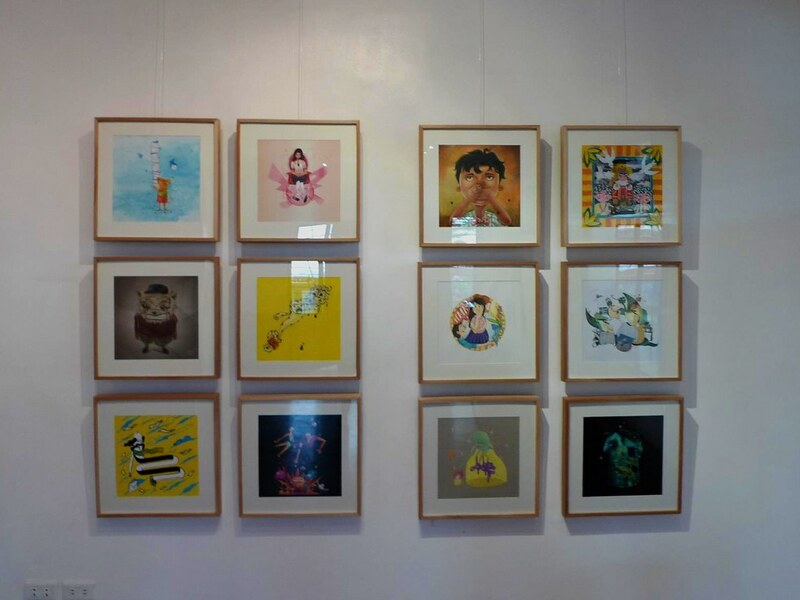 The 2nd run of the exhibit will last up to January 15, 2013 at the UP College of Fine Arts Gallery in Diliman, Quezon City. 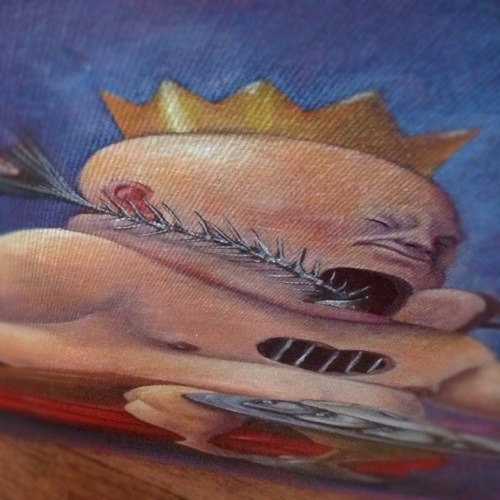 Ang INK has been busy preparing for its 21st Annual Exhibit. 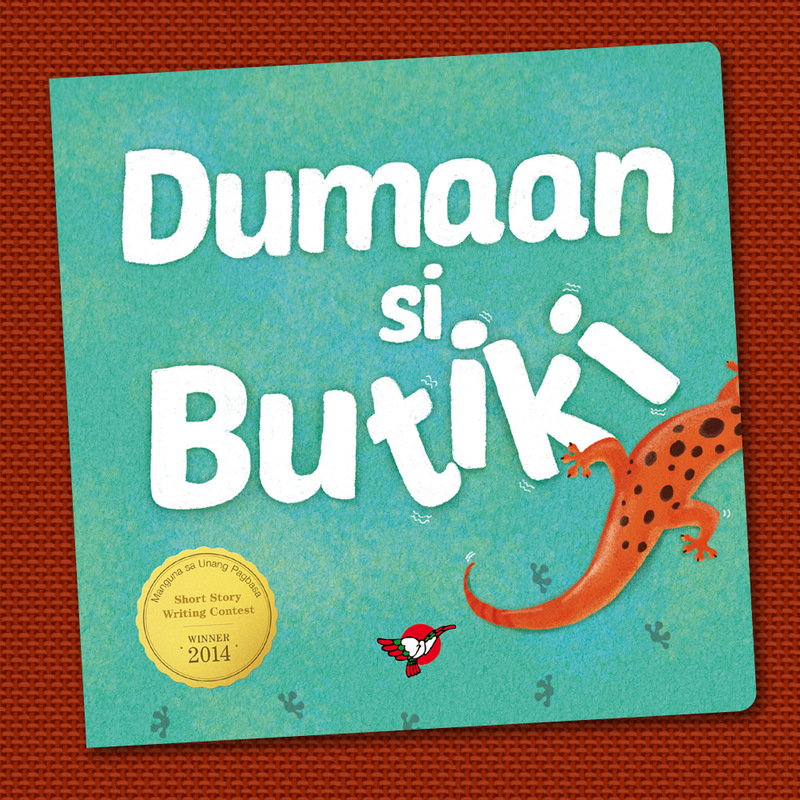 The topic for this year revolves around Filipino idioms or “sawikain”. 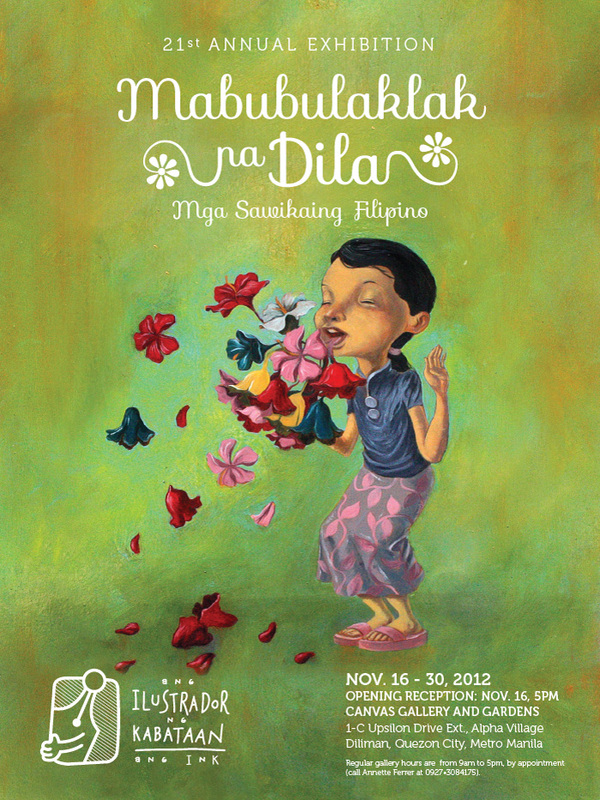 The exhibit opens on November 16, 5 pm at the Canvas Gallery and Gardens. 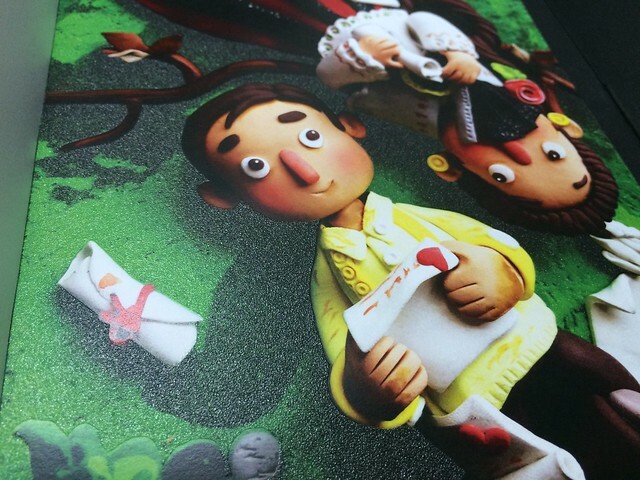 The Ang INK (Ang Ilustrador ng Kabataan) catalog is a DIY piece made by the members and given to various companies and publications who may need the services of an illustrator. It’s a self-promo piece and sadly, it has seen better days. Over the years, the catalog has gotten thinner and thinner. 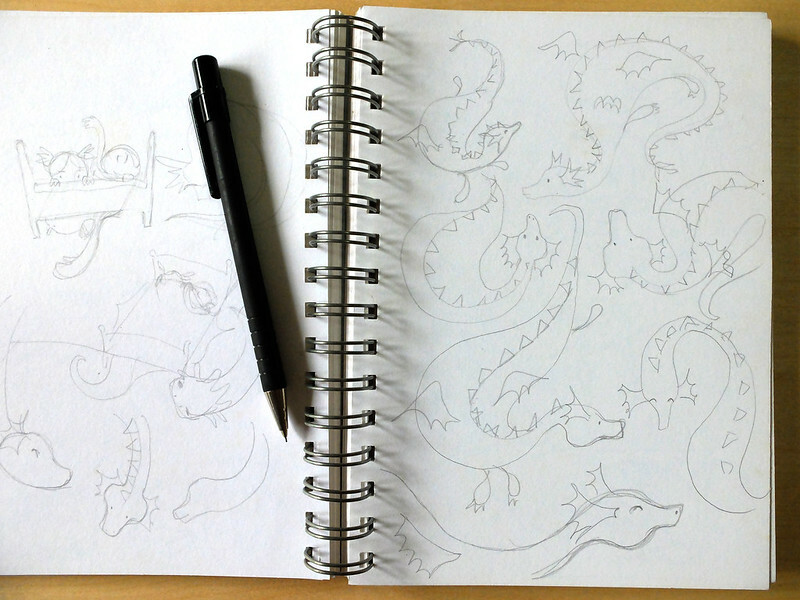 Extending deadlines never seems to help as fewer and fewer members bother to make entries. 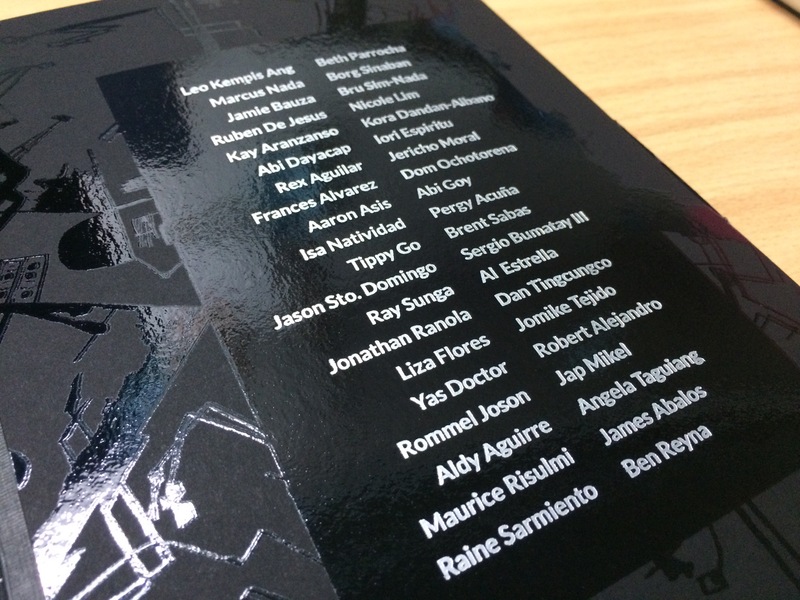 There used to be a time when entries by Pepper Roxas and Robert Alejandro were lovely little fold-out affairs. Having seen their entries when I was new member inspired me to make my own entries different every year. For the INK Orientation Seminar yesterday, Fran Alvarez made a short video (shot and edited with her iPhone 4S no less) showcasing some INK Catalogs over the years. 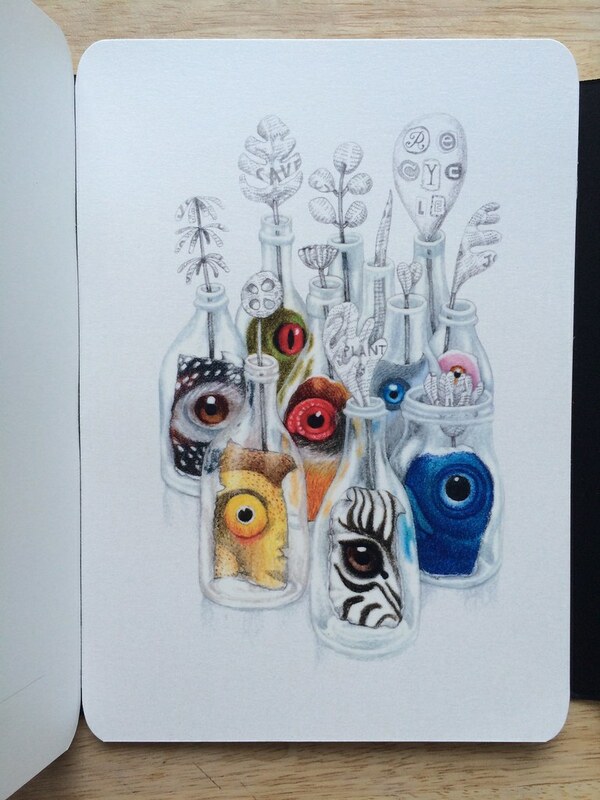 Here’s hoping it inspires both old and new members to submit their own exciting entries.